People across the North East have been getting involved in beach clean events to help clear litter from our beaches in a series of events organised by East Grampian Coastal Partnership, a not-for-profit organisation focused on the wellbeing of the local coast from Kinnaird Head, Fraserburgh to the mouth of the River North Esk, by St Cyrus. 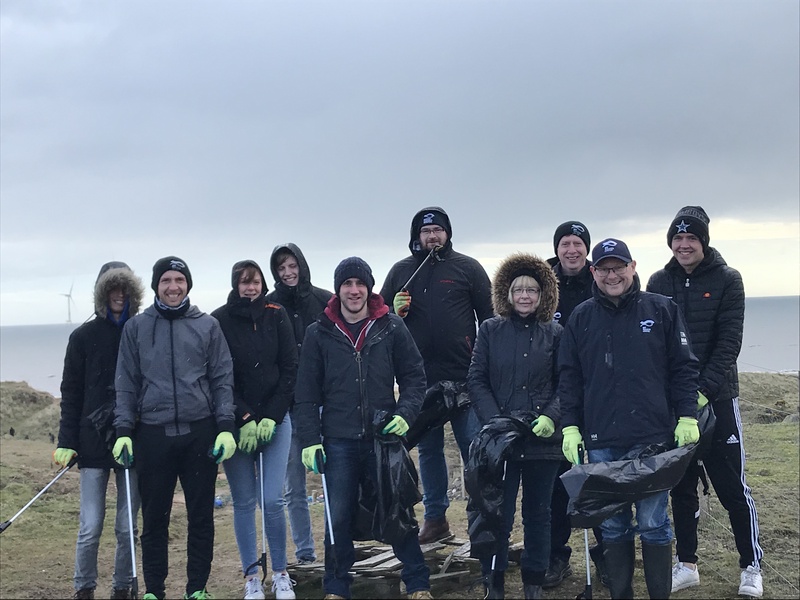 Our keen volunteers headed out to Blackdog last Sunday 24th March to take part in the Blackdog Beach Clean where they helped pick up 200kg of litter. Working towards the removal of plastic and other pollutants from our seas is an ambition shared by SFF Services Limited. Pollution is a blight on our coastal and marine environments, and a continuing threat to marine biodiversity. 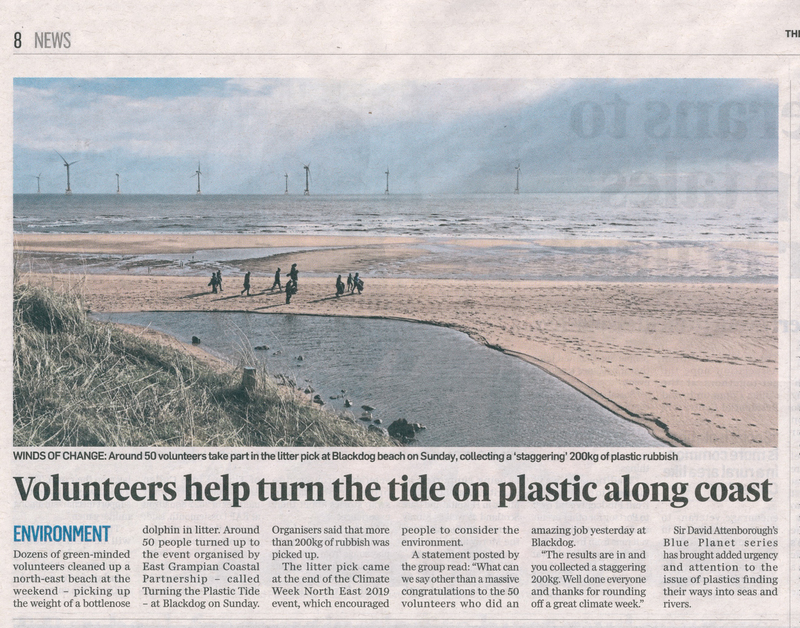 EGCP-Turning the Plastic Tide began running North East beach cleans in December 2017, in doing so creating a sustainable network of trained volunteers who are willing to commit time and effort to beach clean activities, while raising awareness of the issues surrounding plastic pollution. EGCP sponsors include EMFF, Peterhead Port Authority, Vattenfall, Scottish Fisherman’s Trust and Aberdeen Fish Producers Organisation. Also supporting the project are Marine Scotland, Aberdeenshire Council, Angus Council, and Shell UK.